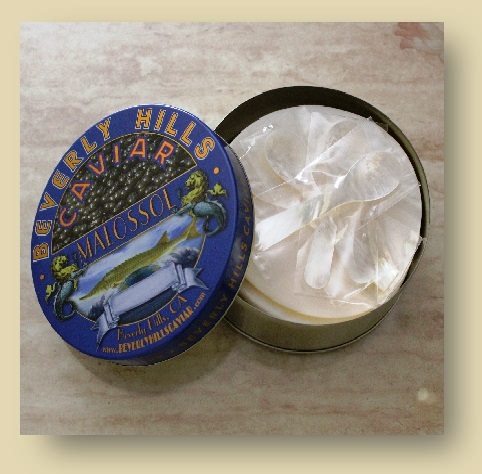 Beluga Caviar - Beluga Caviar has a clean nutty flavor and is Malossol. This product is low on salt and can be used in many different cuisines. Handmade Mini Cocktail Blini- You haven't had blinis till you tried our delicious exclusive recipe for blinis. 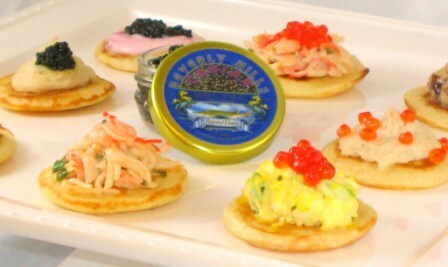 These blini are ideal for serving Caviar, Crab, Egg salad, Cheese, pates, etc... 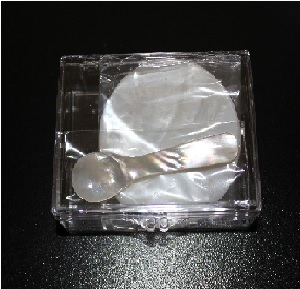 The re-usable and tamper proof containers allow for a generous portion of 320 grams. Simply defrost desired amount and freeze again for later. 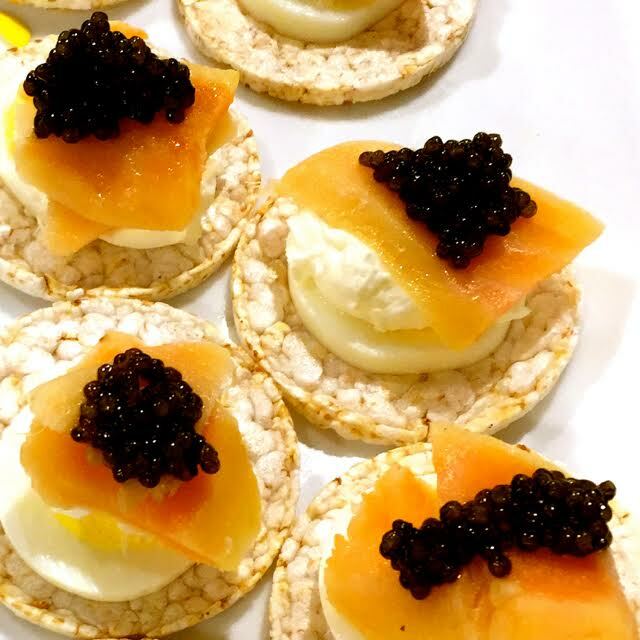 Our exclusive mini blini are larger than regular and allow for a more generous looking appetizer. 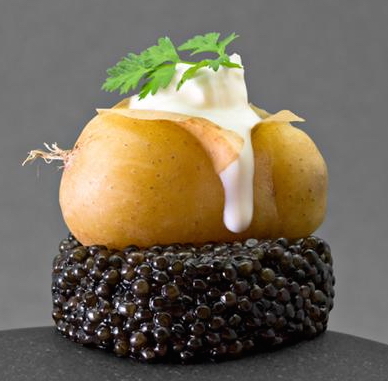 Caviar is usually enjoyed on top of these mini toasts along with Creme fraiche. French-style Creme Fraiche - Cream has a rich, nutty flavor that accompanies caviar perfectly. Creme fraiche is a basic pantry item found across European kitchens and recently in top American events. 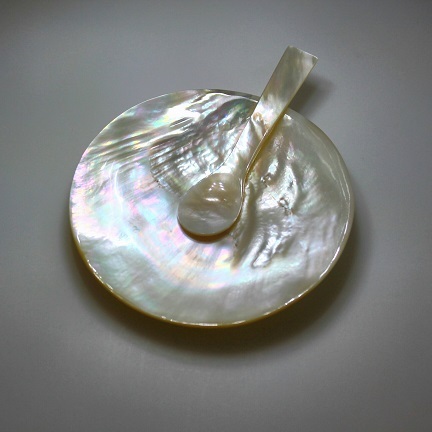 Traditional Mother of Pearl Plate with Mother of Pearl Spoon - For the best taste of caviar, mother of the pearl spoon and plate are the right choice. 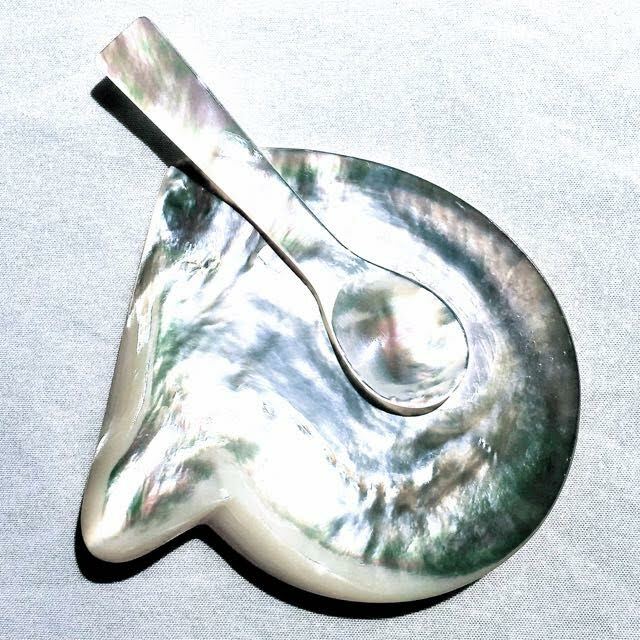 Sterling Silver Mother of Pearl Plate and Spoon Package - This package of caviar serving dishes is the ultimate high society party choice. Large Pre Sliced Truffle Slices - Enjoy pre sliced extra large truffle slices on any occasion. This product is the most popular truffle product in the world. 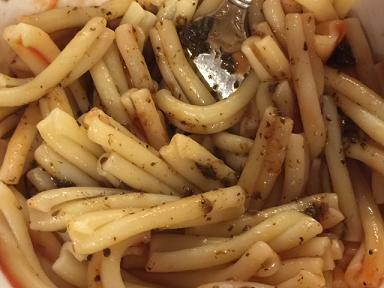 The truffles are genuine Italian truffles, sliced and preserved in oil. Usually served in restaurants for $25-$30 per slice. This product contains up to 50 slices. Net Wt. 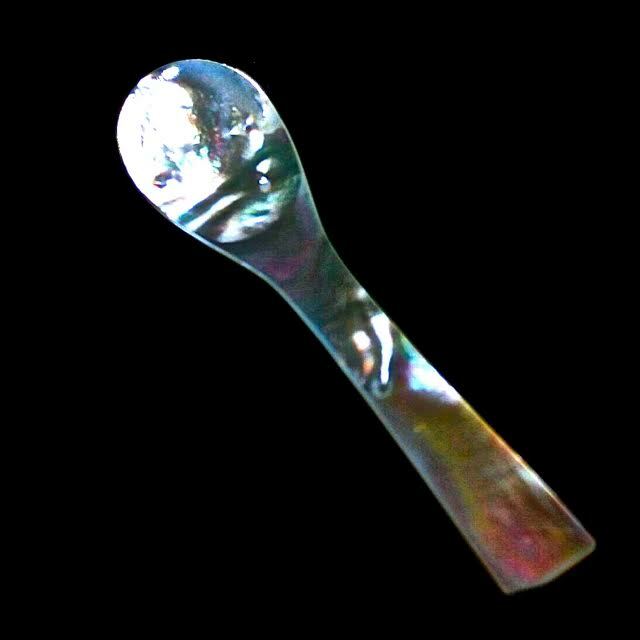 drained is over 450g. All online products include free nationwide shipping. 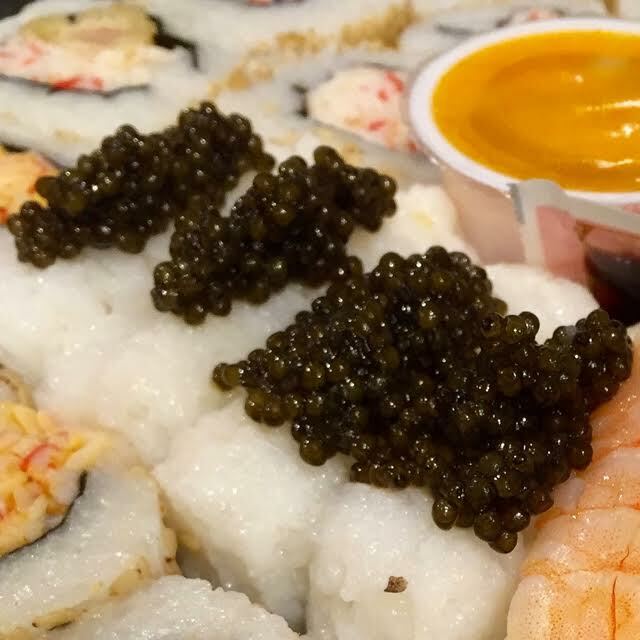 The free shipping option delivers caviar and other perishable items overnight with the late afternoon delivery Tuesday through Fridays (as late as 8:00pm). You may select other shipping methods including FedEx First Overnight, Priority Overnight, etc... upon checkout. For non perishable items, your order will be shipped via ground shipping. Caviar Inc. is located in Los Angeles, California. All caviar orders are shipped within the USA via FedEx Overnight. We do not ship to areas that FedEx doesn't deliver to. Shipments are made on Monday through Thursday and not on holidays. If you order between Friday - Sunday then your order will be shipped on the following Monday. If Monday turns out to be a holiday, your caviar order will be shipped on the next business day. Once your order has been processed and shipped, you will receive the FedEx Tracking # of your caviar order via E-mail. You will be required to sign for the caviar order, as it arrives with the FedEx driver to your location. 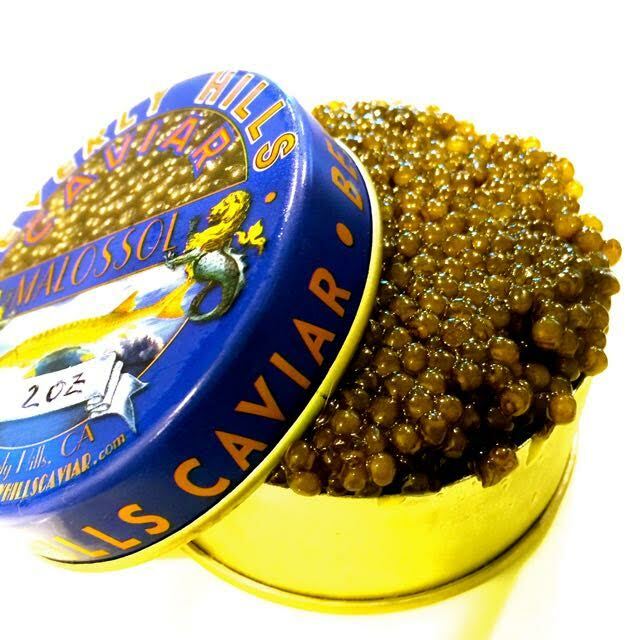 If you have a specific date in which you would prefer the caviar order to arrive on, please notify us by email immediately after placing your order online with instructions. 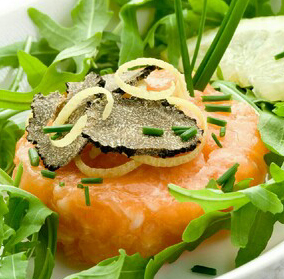 Caviar Inc. is a major caviar supplier in Los Angeles, California and throughout the United States of America. Our large selection satisfies even the most pickiest buyer. Many of our customers are repeat clientele and refer friends and family. 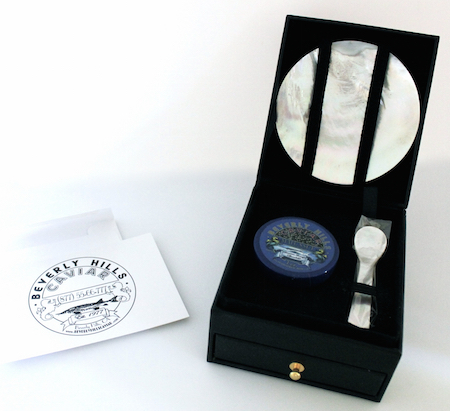 People know that when placing an order with us they will receive only the freshest possible Caviar, in the highest quality possible and at unbeatable prices. 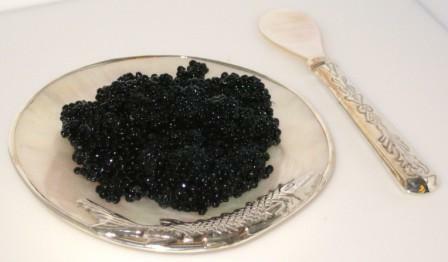 We supply fresh and frozen caviar to the general public, wholesalers, retailers, restaurants, caterers, banquets and stores. 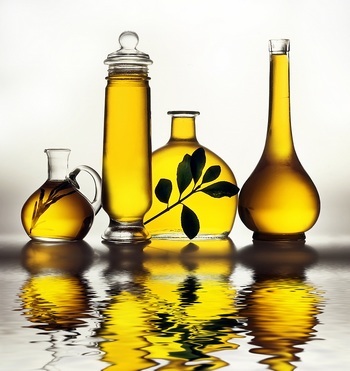 We encourage wholesalers, retailers, brokers and resellers around the USA to contact us for unbeatable pricing. 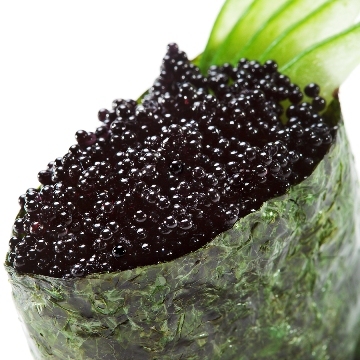 Special caviar rates/prices apply for resellers in specific areas through out the United States. If you would like to work with us to be our exclusive reseller in your area contact us here. 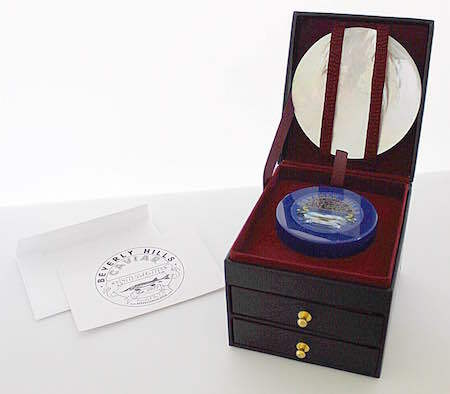 Storage and handling of our caviar is made simple with all possible selections at Caviar Inc. Our caviar may be frozen six months to a year, simply place the tin/jar in a freezer bag (To avoid freezer burn for long periods of time). Simply thaw out slowly in the fridge 24 hours before serving. 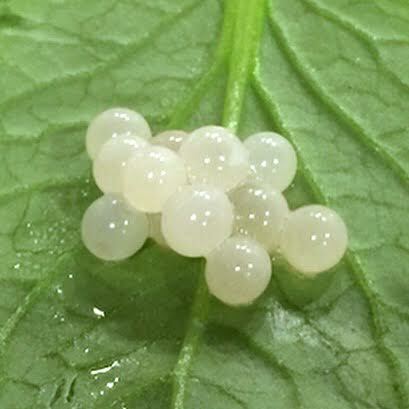 Constant freezing and defrosting, will cause the eggs to soften, ultimately causing more lubrication. When fully defrosted we recommend clients to store the caviar at 28-32 degrees, or in the coolest area in the refrigerator. 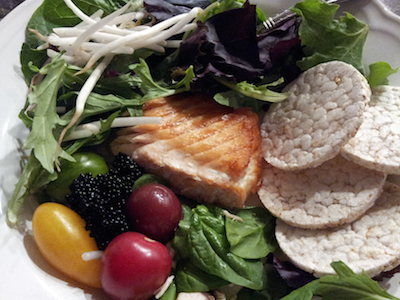 Place the caviar jar/tin in a plastic bag surrounded by crushed ice and refresh the ice when melted. It usually takes about a day or so to defrost the caviar completely before serving, for best results place the caviar in the fridge when taking out of the freezer. After opening the caviar container, consume as soon as possible. 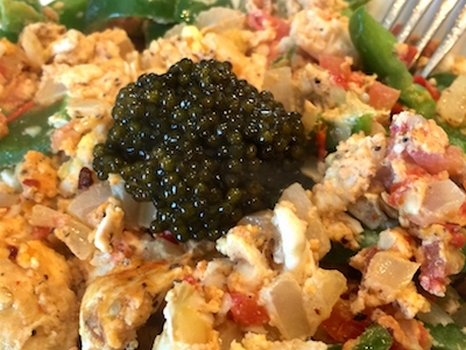 When do people usually enjoy caviar? This specialty food makes one of the most popular gourmet gifts during the holiday season. Clients usually order two weeks prior to holidays. Thanksgiving, Christmas, New Years Eve, Valentines Day, special occasions and events (Weddings, Corporate Events, etc...) are usually the perfect time to enjoy this ultimate luxury food. 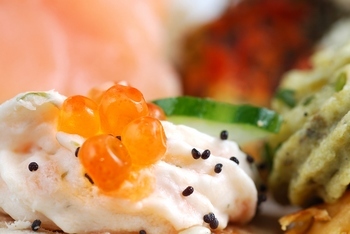 Buy caviar online now and enjoy the freshest caviar online today. If you have any questions or comments feel free to contact us here.